Whilst retrieving an item for a reader, I came across a wonderful selection of illuminated manuscript leaves and original leaves from books by early printers (that I didn’t know we had!) in the John Lewis Printing Collection, which we hold here in Special Collections. This collection has not been catalogued, although it has been organised thematically, and there is a handlist of the collection categories. 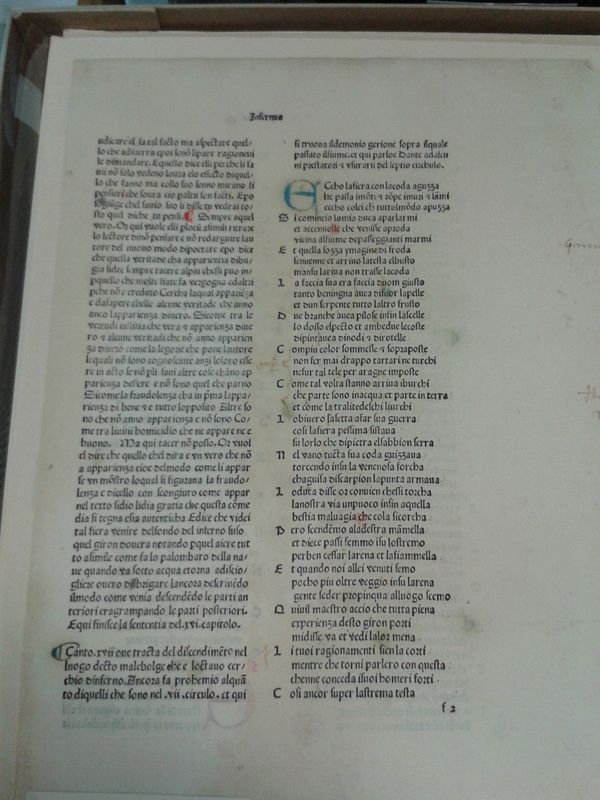 Some of the gems in the ‘early printing’ category include a leaf printed in 1482 by William Caxton, which I had heard was in the collection, but some of the surprise items included original leaves from Aldus Manutius’s Hypnerotomachia Poliphili (1499) (see below). 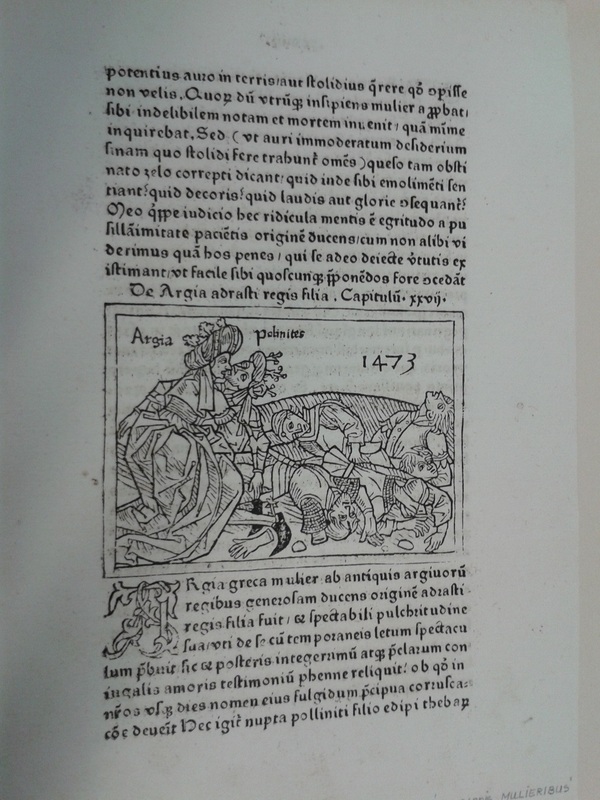 The collection also contains several examples of printing by the Venetian printer Nicolas Jenson, and a single leaf from La Commedia by Dante printed in Venice by the German printer Wendelin de Spira in 1477 (see below). Wendelin, with his brother Johann, was among the first of the early printers to come to Italy from Mainz in Germany to introduce the technique of printing. Some other items of interest include a leaf from the ‘Cologne Chronicle’ (1499) and a leaf from Boccaccio’s De claris mulieribus (On Famous Women), printed in 1473 in Ulm in Germany by Johann Zainer, the first printer in Ulm (see below). This book, the first illustrated book printed at Ulm, was the first collection of biographies devoted entirely to women, and was a source for authors including Chaucer and Edmund Spenser. 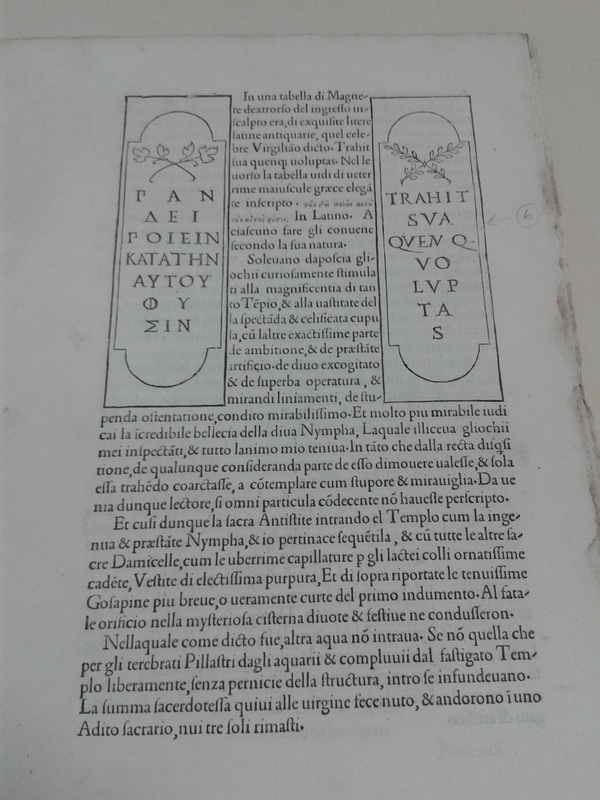 The material is held in Box 1:1 of the John Lewis Printing Collection (MS 5317), and is available to view on request in the Special Collections reading room. 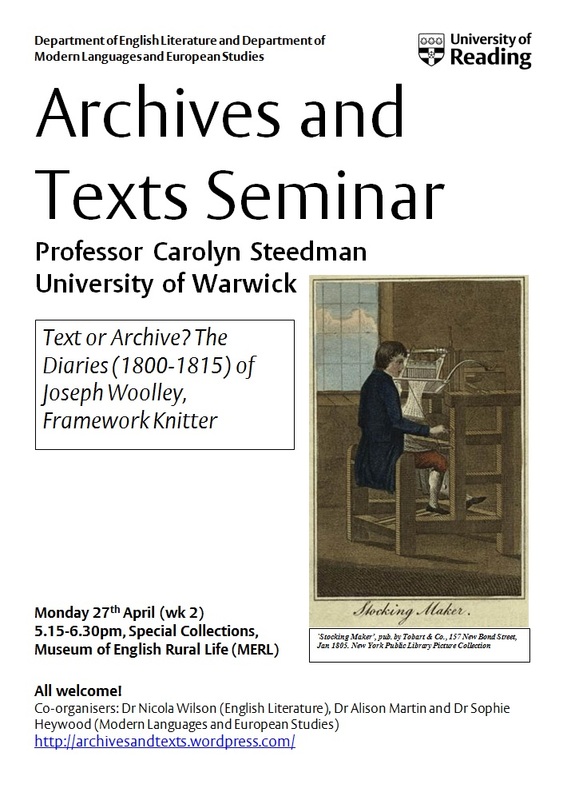 Joins us here at Special Collections on Monday 27th April at 5.15pm for this fascinating talk from Professor Carolyn Steedman.